Daniel……Republican Candidates need to distance Themself NOT from the Tea Party…. BUT from Former Alaska Governor Sarah Palin…. We really need to hold some Republican Postitions and not get intimidated from ONE BIG REPUBLICAN GOD named SARAH PALIN. Her bad behaviour and trying to take over OUR Party is BAD, BAD, BAD. She’ll be OUR ALBATROSS for 2010 and 2012 if we don’t start soon trashing her down. She is THE BIGGEST POLITICAL CLOWN I’ve ever seen. Therefore I urge some Candidates named Mark Kirk, Pat Toomey, etc. to distance themselves from her. The Tea-Party is great. They have great Values. Why? Otherwise some big Political Figures like Mitt Romney, Mike Huckabee or Tommy Thompson wouldn’t have endorsed Candidates associated with this Party. 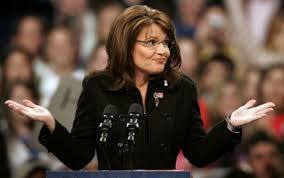 SARAH PALIN is not one of us. She just should close her voice for the next 5 Months. She’s dragging us down.